Booking is now open for the National Self Build & Renovation Show, 25th -27th January 2019 at the National Self Build & Renovation Centre in Swindon. You can pre-book your FREE tickets online now and save yourself £12 on the door entry price, per ticket. The Vision AGI team will be in attendance at January’s National Self Build & Renovation Show on our permanent stand at the centre. You’ll have the opportunity to see our rooflights up close and ask the team any questions about your next home building or home improvement projects. We’ll help you find the perfect glazing solutions from our rooflight collection as well as expert advice on our bespoke structural glazing services and the many ways you can add natural light to your home. Save £12 on the entry price by signing up for FREE TICKETS in advance of the show. Visit https://bit.ly/2Pg0eRm to pre-book now. 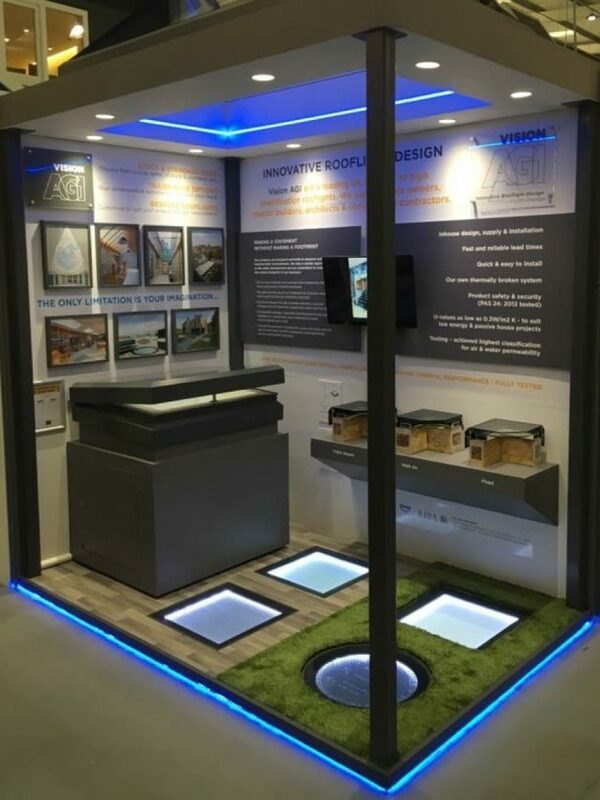 We have a permanent stand at the centre which showcases our Rooflight Collection. You are welcome to visit at any time and if you ever have questions, our team are always available on 01223 792244 to help answer your questions. If you need any more details or have any questions, get in touch with the team otherwise, we’ll see you in January!